<b> NEW AND IMPROVED! (July 2018) </b> <br />Can you count all the animals that have beaks? Are there more bees or ladybirds? <br /> You&#x2019;ll soon discover in this fun game, <b> Count the Animals! </b> <br /> There are several types of puzzles in the book; some focus on counting a particular animal, some on a common attribute (i.e. 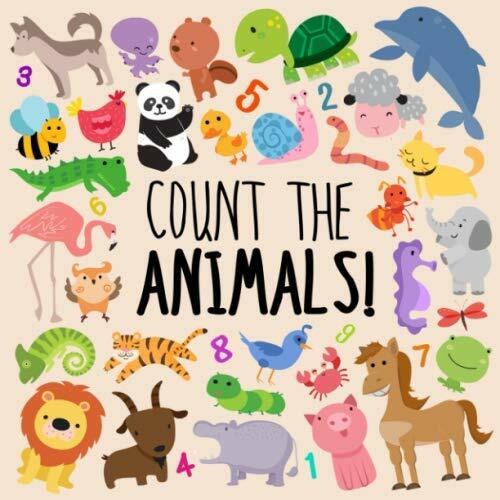 all the animals with tails), while a number of puzzles ask you to count two sets of animals to see which outnumbers the other. <br /> A perfect book for little learners. They'll develop observational skills, apply numbers to objects and they'll be having so much fun they won't even know they're learning!